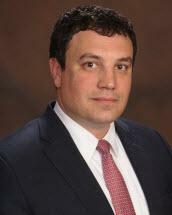 Mr. Hufft’s practice includes Personal Injury Litigation and Criminal. Mr. Hufft has practiced law in over 25 Parishes and has brought over a hundred cases to trial, more than half of which were jury trials taken to verdict. Prior to joining the firm, Mr. Hufft worked as an Assistant District Attorney in the Jefferson Parish District Attorney’s Office and the Orleans Parish District Attorney’s Office. He has served on the Board of Directors for the Louisiana Center for Law and Civic Education and as a board member of the Jefferson Bar Association’s Young Lawyers Division. He was elected by his L.S.B.A. peers to represent District Council 2 which is composed of the Parishes of Jefferson, St. Bernard, Plaquemines, St. Charles, St. John the Baptist, Ascension, Assumption and St. James. He was the Chair of the L.S.B.A. Law-Related Education Committee which projects with the Louisiana Center for Law and Civic Education to assist in educating the public regarding the law and their rights and responsibilities as citizens. A graduate of Loyola University College of Law, Mr. Hufft received his undergraduate degree in Psychology from Louisiana State University, and attended Jesuit High School where he was a state champion wrestler. In his community, he is the President of the Homestead Brockenbraugh Civic Association coach of the Jesuit High School mock trial team. Jeffrey and his wife, Danielle Treadaway Hufft, have been married for 5 years and are the parents of one child.